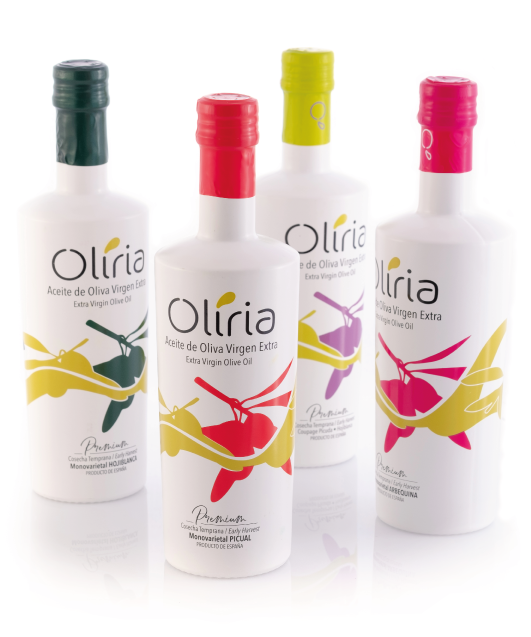 During the whole process of packaging and labeling of our extra virgin olive oils and others, a thorough follow-up and control is maintained, which is in force at all stages of production and which guarantees the optimum conservation of the product and its properties. Our packaging plant has a great versatility that allows us to adapt perfectly to the needs of our customers. 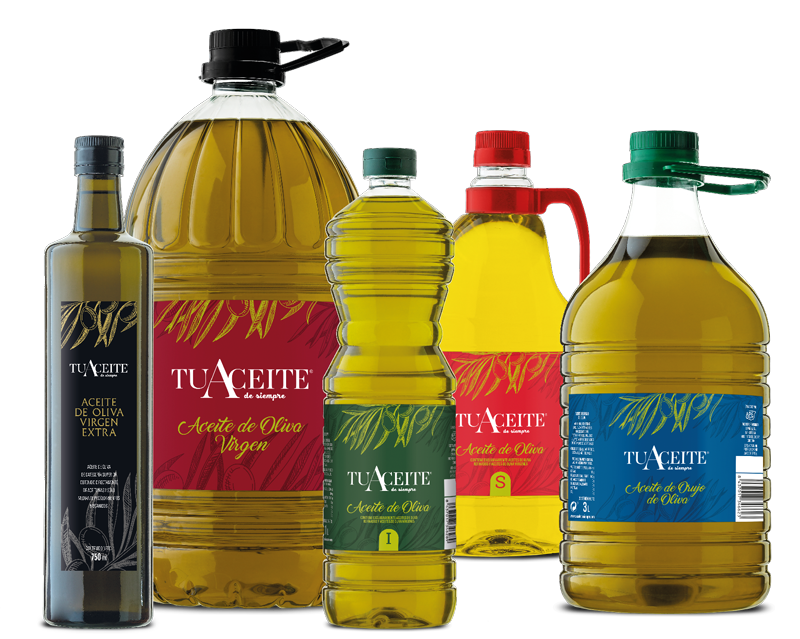 “TuAceite de siempre” brings to life a wide range of products: Extra Virgin Olive Oil, Virgin Olive Oil, Intense Olive Oil, Soft Olive Oil and Olive Pomace Oil. All of excellent quality, that you will find in our online store and that you will receive comfortably and directly from the olive grove to your house. 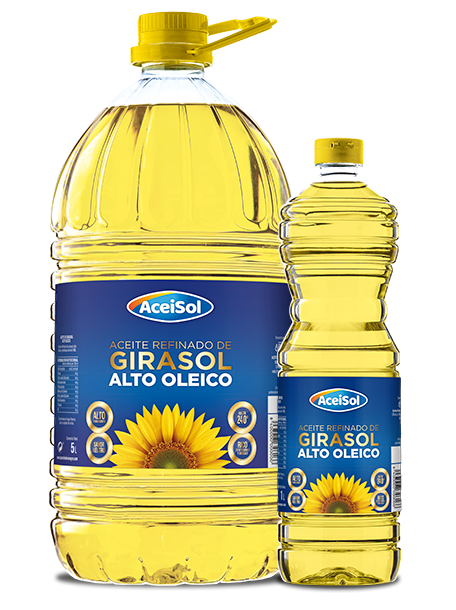 Our high oleic sunflower oil of selected plants, rich in omega 6, vitamin E and unsaturated fatty acids, is the best recommendation for fried foods and sauces. In our online store you will find it in PET formats of one and five liters.